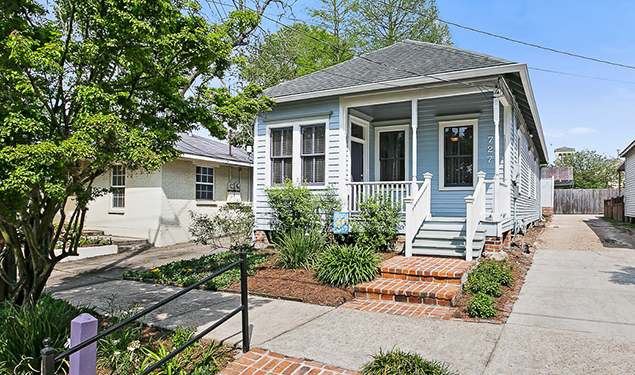 Adorable home with fantastic curb appeal in the highly desirable Beauregard Town and within walking distance to all that downtown Baton Rouge has to offer! It features an entirely updated kitchen with all new cabinetry and soft close cabinets and drawers, concrete countertops, marble subway tile backsplash, apron sink, and stainless steel appliances which include a gas range. 10 foot ceilings and wood flooring throughout. Each bedroom is connected to a full bathroom. The backyard has a covered porch, open brick patio, and garden area. Two off street parking spaces in the rear. Homes in this condition and in this area do not last long! Call today to schedule your showing!